The era of “silent videos” or “silent movies” in Facebook is coming to an end. Videos on Facebook has so far been autoplayed with the audio and sound muted in the News Feed when you scroll to the video, regardless of whether your phone is set to silent or not. If you want to hear the sound, tap on the video and the Facebook app will dutifully play the sound of the video. From now on, Facebook is enabling audio of the video by default. According to Facebook, sound fades in and out as you scroll through videos in News Feed, bringing those videos to life. However, Facebook will obey the silent / mute and sound setting of the mobile device. Thus if your phone is set to silent, videos will not play with sound. But the behavior change may be a surprise for many people who is getting used to scroll through the videos without volume disturbing the others nearby. 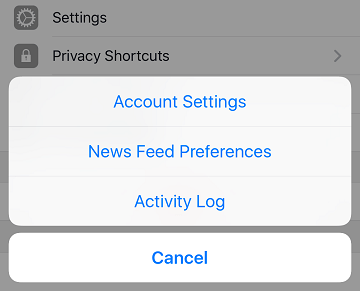 For Facebook users who want to continue have videos playing silently when scrolling until tapping on the video, Facebook does provide a toggle to change the setting. The setting is only available when the feature is rolled out to your Facebook app, or by updating the Facebook app. In the Facebook app, tap on the Menu icon (3 horizontal lines at the bottom right corner). Tap on Sounds or Videos and Photos. Slide the toggle for Videos in News Feed Start With Sound to Off (Gray) in order to switch off the volume when Facebook auto plays the videos when you scroll through the News Feed. Likewise, to enable the sound with autoplay, toggle the switch to On (Green). Likewise, to enable the sound with autoplay, toggle the switch to On (Blue). Users will need to control the system volume (i.e. mute the operating system).